Abi Beach Bar is an exclusive classic Caribbean hangout serving cold cocktails and great food, on a beautiful beach. Accessible by water only, it’s a great place to drive the boat up to and enjoy a family meal. Don’t forget bottomless brunch on Sundays! Try The Pomenade– it’s the bar’s take on a pomegranate lemonade with mint leaves. 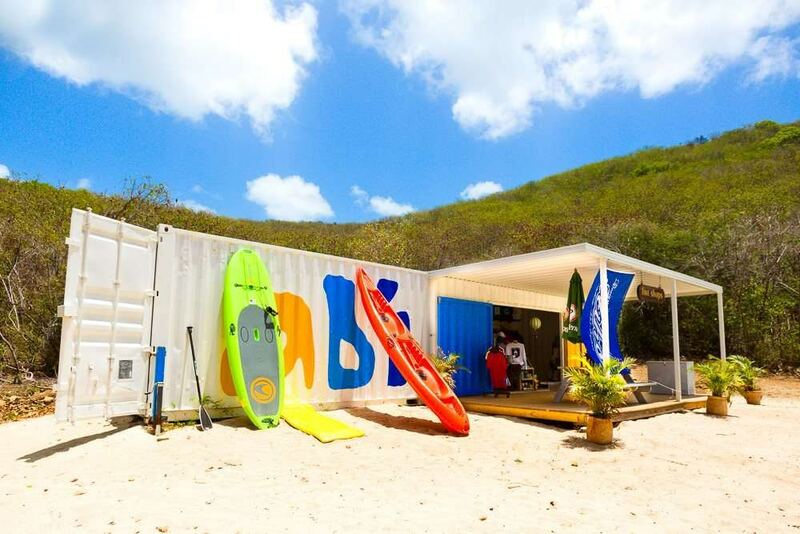 In addition to getting your grub on, Abi Beach Bar offers stand up paddle boards, paddle boats, kayaks, snorkel gear and floating mats for rent. 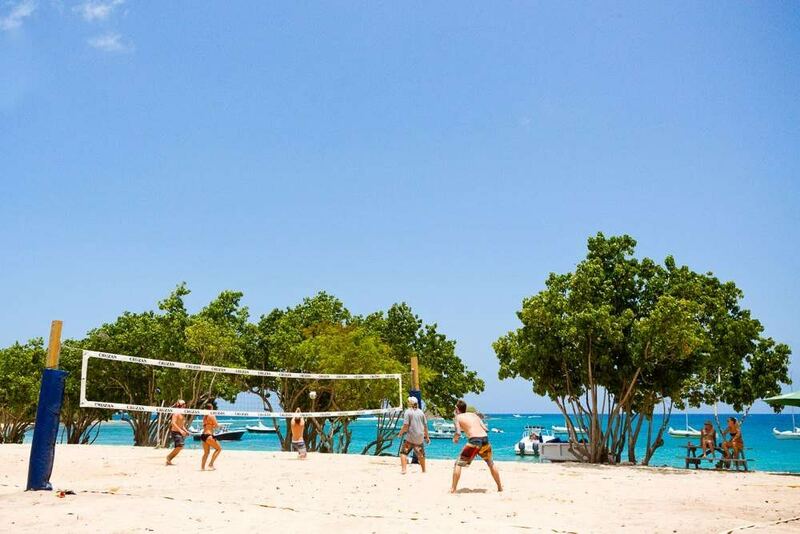 If you want a break from playing in the water, they also have beach volleyball and corn hole. If you’re interested in live music, there’s usually a band playing here multiple days a week. So this can serve as your one stop shop for adventure, fun and food for the whole family! 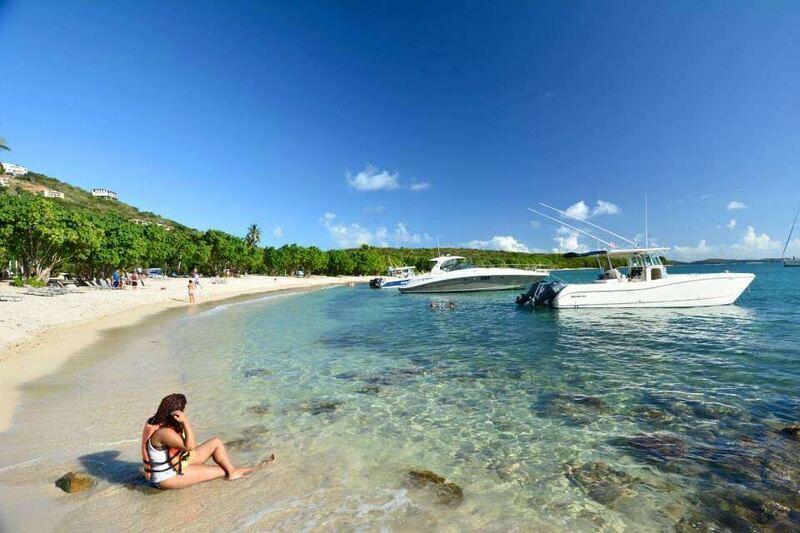 Before or after a stop at Abi Beach Bar, you can take a quick ride out to Buck Island to snorkel with turtles, or make your way to Honeymoon Beach on Water Island. Abi Beach is a great destination for a local USVI day trip. Photos courtesy of Abi Beach Bar Facebook.